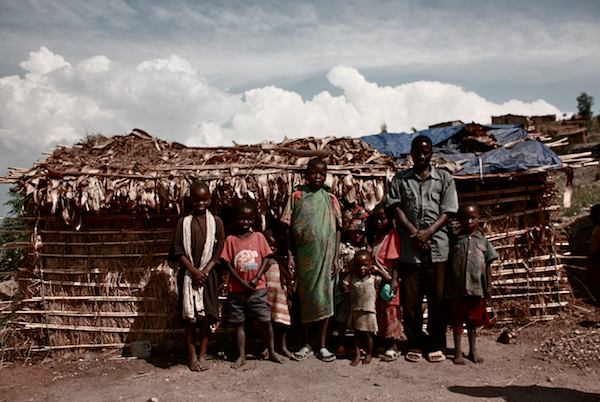 The Batwa people live on the edges of Burundian society, marginalized in their own country. Local humanitarian workers tell tales of these people who thwart good gifts and show little gratitude, making them notoriously difficult to work with. One organization generously gave corrugated metal roofs for the thatch-constructed homes. But soon after the installation, the aid workers discovered the metal was sold. Another religious-based agency gave these families window insets and doors for their unsecured homes. It didn’t take long for word to travel back to the team – all the items disappeared, probably sold for quick cash. These organizations promptly labeled this Batwa community as ungrateful. They said the people were incompetent to care for the gifts or unable understand the value these gifts could add to their community well being. “They are troublemakers,” the workers said. We were warned to stay clear of them and help someone else or our energies would be wasted. But my husband had learned to not take the solitary narrative of the NGO workers as gospel. Claude visited this community often and forged friendships with them. He listened to the stories told by the chief, the mamas trying to feed their children, the men looking for regular work. They painted a different picture about the good gifts. Read the rest over at A Life Overseas… this is my debut post for this fine community of international development practitioners, expats and bicultural people of faith. I look forward to contributing monthly to these conversations about community development work, justice in our global neighborhood and living life as a bicultural family in transit.